Gurstavus Richard Brown (1747-1804) was a noted physician and botanist, and a lifelong friend of George Washington (1732-1799). Like Washington he was a tall man, standing over six feet in height. He helped found the hospital department of the Continental Army, but is best remembered as one of the doctors summoned to attend to George Washington the night he died, December 14, 1799. He was born near Port Tobacco, Charles County, Maryland to Dr. Gustavus Brown (1689-1765) and his second wife Mrs. Margaret Black Boyd (1710-?). His father, who earned his M.D. at the University of Edinburgh, came to Maryland from Scotland in 1708 and established his medical practice in Port Tobacco. Following his father he studied medicine at the University of Edinburgh in Scotland, earning his doctor in medicine in 1768 with his inaugural dissertation, “De ortu animalium caloris.” After returning to Maryland he practiced medicine, first in Namjemoy and later in Port Tobacco. In addition to medicine, he was elected to the legislature of Maryland, and served as a judge. 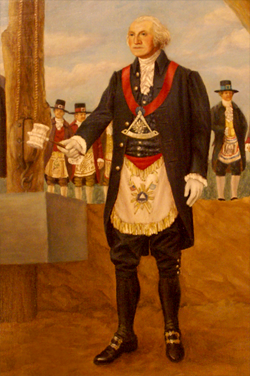 He was a member of the Maryland state convention of 1788 and voted to ratify the U. S. Constitution. During the American Revolution, he helped establish the hospital department and was surgeon-general of the Continental Army. In 1776, during the American Revolution he helped found a hospital for the inoculation of smallpox near the Potomac River on the Virginia side. Around 1780, he bought and combined four tracts of land, combining the parcels to create his country seat, “Rose Hill,” built around 1783. In 1799, he was instrumental in the founding of the state medical society, the Medical and Chirurgical Faculty of Maryland. Dr. Brown was in active practice until his last short illness. He died five years after Washington’s death on September 30, 1804 at his home, “Rose Hill,” near Port Tobacco. The Dr. Gustavus Brown Elementary in Waldorf, Maryland is named after him. His younger sister, Margaret, married Thomas Stone (1743-1787), a signatory of the Declaration of Independence. In some records Dr. Brown is confused with his father of the same name. The elder Gustavus Brown settled at Middleton (named after his family homestead near Dalkeith, Scotland) in Charles County, Maryland.